Let’s face it: No one wants to think about death, terminal illness, or sustaining a debilitating injury, but it is important to take the necessary steps to protect your loved ones and develop a successful wealth transfer strategy for the future. Proper estate planning not only allows you to stay in charge of your finances, but it is important to spare your loved ones with large expenses, unnecessary delays, and the frustrations associated with managing your finances after your death or disability. Dying without a will can be disastrous to your family. It leaves your estate intestate, and rather than distributing the assets in accordance to your wishes, it leaves the probate court to divide the assets up equally to your heirs using legal defaults. In addition to the legal consequences, it can impose a heavy tax burden on the beneficiaries, and sometimes even cause friction and fighting between family members. When these consequences are made aware, more often than not people would prefer to state how they would like their assets distributed, rather than being subjected to mandated division by a court. A durable power of attorney automatically ceases upon your death, and the other coordinating documents in your estate plan will take over to determine the next course of action. With a medical directive established, you can direct which care you want to receive and which you do not. Your loved ones will be able to avoid any unwanted life prolonging treatments like resuscitation, and have a clear understanding regarding quality of life and end of life treatments. Although the last item to be discussed, the beginning of any well rounded estate plan truly includes a revocable living trust. A revocable living trust is a contract entered by you to establish a separate entity, the living trust, which will own your assets. The term revocable allows you to retain control of those assets and maintain the right to change it, amend it, or revoke it at any time. Similar to a will, it contains instructions for how you would like your assets distributed upon death. But, unlike a will, a living trust avoids probate at death and prevents the court from controlling your assets if you become incapacitated. While the aforementioned tools are commonly utilized in many estate plans, they may not be necessary in your individual situation. There is no perfect strategy to transfer an estate and its assets, thus a proper estate plan should outline and address your financial objectives and personal values. What works for one family, may not be the most appropriate plan for you. At Nevada Senior Advisors we are dedicated to navigating you through the various choices to find a plan that best suits your individual needs. We have been VERY pleased with the information and guidance we’ve received from Nevada Senior Advisors. They helped us make some excellent choices in 2008 and feel we have survived the worst of bad times that have come upon all of us. We felt comfortable with Nevada Senior Advisors from the beginning. Since placing our IRA’s with you we sleep better at night knowing that our principal amount is safe. Nevada Senior Advisors has proven to be competent and a professional, and has always been available to answer my questions and concerns, not only on my investments, but they have also been have a wealth of information on insurance, and other retirement concerns. 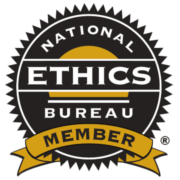 Nevada Senior Advisors know how, honest recommendations, and integrity in their business practices makes them a company you can trust. They will work hard for you. They always take the time to meet with us whenever we need to explain any questions or concerns we might have. We look forward to continuing our long term relationship with Nevada Senior Advisors. We are certain that others who come to you for financial assistance will be as please as we have been. We have never had such good service with any other advisor that we have dealt with in the past. You have our complete trust at all time which is a very good feeling for us. All written content on this site is for informational purposes only. Opinions expressed herein are solely those of Nevada Senior Advisors and our editorial staff. Material presented is believed to be from reliable sources; however, we make no representations as to its accuracy or completeness. All information and ideas should be discussed in detail with your individual advisor prior to implementation. Fee-based financial planning and investment advisory services are offered by Nevada Retirement Planners a Registered Investment Advisory in the State of Nevada. Insurance products and services are offered through Nevada Senior Advisors. Nevada Senior Advisors and Nevada Retirement Planners are affiliated companies. The presence of this web site shall in no way be construed or interpreted as a solicitation to sell or offer to sell investment advisory service to any residents of any State other than the State of Nevada or where otherwise legally permitted. Nevada Senior Advisors, Nevada Retirement Planners are not affiliated with or endorsed by the Social Security Administration or any government agency. This content is for informational purposes only and should not be used to make any financial decisions. Exclusive rights to this material belong to Nevada Senior Advisors. Unauthorized use of the material is prohibited.